In The Corner Notches, Aged Surface Caliche Deposits, Correct Style Flaking, Correct Basal Configuration, Correct Blade Sharpening Reduction, Correct Material And Manufacture For The Area Found. 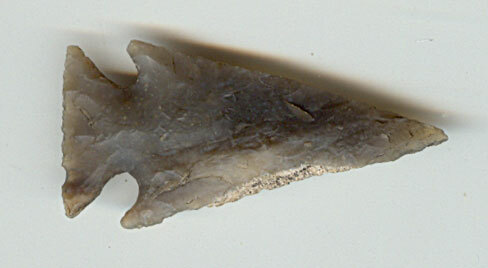 Found On The Brazos River By Pete Rocket Many Years Ago. Blade Sharpenings Has Reduced The Length And Width Somewhat. This Is A Highly Collectable Artifact! Includes Tom Davis, Grade 8 And Ken Partain Certificates Of Authenticity!